1. Gather your supplies in a comfortable, private, and well-lit location. You will need a friend to assist you. 3. 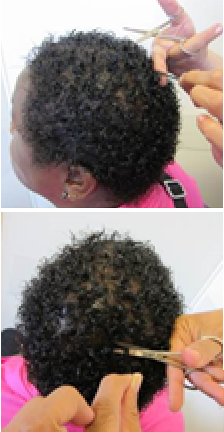 Prepare a section of your hair from the back region of your head. Ask your friend to assist you. 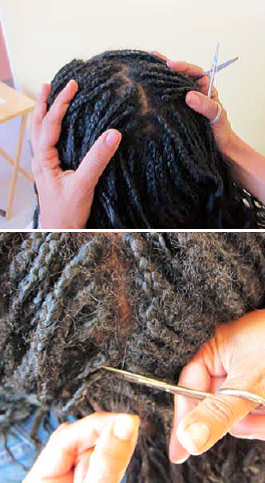 Lift up a top layer of hair from the back of your head. Use a hair clip to keep the top layer of hair out of the way if you have longer hair. 5. Fold over the foil to cover your hair sample and place it back inside the Ziploc bag labeled "Back of Head". 7. Clean the blades of your scissors again. 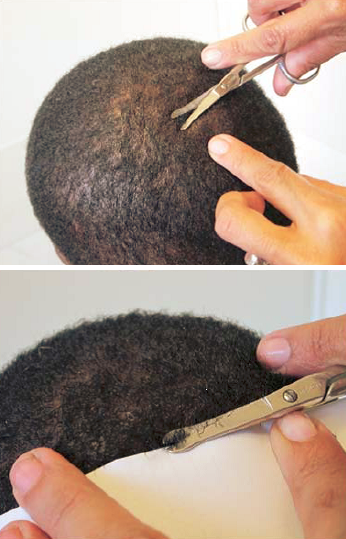 Before cutting your next hair sample, clean the blades of your scissors again. Make sure there is not any leftover hair caught in your scissors, and allow them to dry completely. 8. Cut another hair sample, this time from the side region of your head. You can cut this sample yourself without your friend's help. Repeat steps 3 - 6, this time cutting your hair samples from the side of your head. Place this foil inside the Ziploc bag labeled "Side of Head". Label this Ziploc bag with today's date and add it into the pre-stamped envelope. 9. 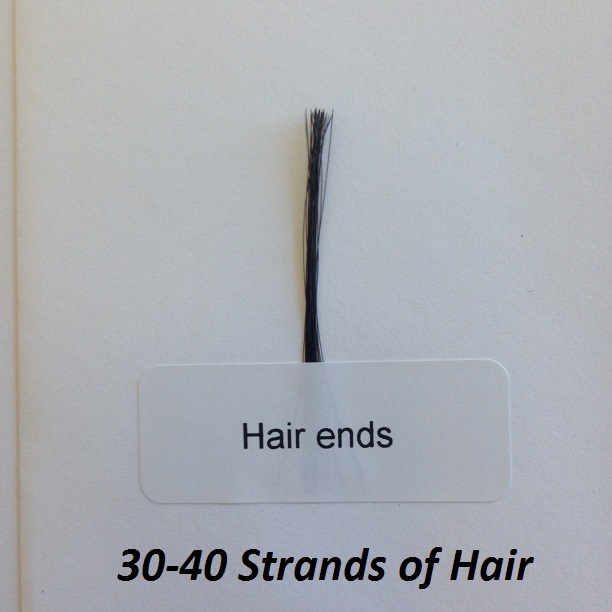 Mail your hair sample. Seal the envelope by removing the adhesive strip, and drop the envelope in any USPS mailbox.